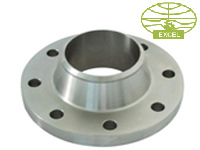 Excel Metals & Industries Are Manufacture & Exporter Of Forged Flanges ( SS Forged Flanges) Of Different Grades And Standard Which Respects With National And International Standards. We Also Fabricate Them With Nickel And Many Other Metals Moulded, Aluminum, Brass And Steel. ANSI B16.5 Forged Flanges, ASME B16.47 Forged Flanges,Alloy Steel & Carbon Steel Forged Flanges, DIN Forged Flanges, Stainless Steel Forged Flanges In India, DIN Forged Flanges Manufacturer & Supplier in india. Carbon Steel Forged Flanges: ASTM / ASME A/SA 105 ASTM / ASME A 350 , ASTM A 181 LF 2 / A516 Gr.70 A36, A694 F42, F46, F52, F60, F65, F70. Exporter & Suppliers of Welding Neck Flange in Dubai, Saudi Arabia, Qatar, West Africa, Russia, Kuwait etc. Exporter & Suppliers of Blind Flange 75lb Ser.B Manufacturers Buyers Importers Suppliers Exporters Dealers Distributors Traders in India, Dubai, Saudi Arabia, Qatar, West Africa, Russia, Kuwait etc., We Have More Then 10000 Client of Pipe Fittings & Flanges in USA, UK, Europe, UAE, Saudi Arabia (KSA), New Orleans, Venezuela, Houston, Texas, South Africa, Asia, Peru, Brunei, Italy, France, Indonesia, Fiji, Singapore, Malaysia, Doha, Qatar, Thailand, Ireland, Canada, Australia, UAE, Bahrain, Italy, Indonesia, Malaysia, United States, Mexico, Chine, Brazil, Peru, Nigeria, Kuwait, Jordan, Oman, Muscat, Dubai, Thailand (Bangkok), Venezuela, Iran, Germany, UK, Canada, Russia, Turkey, Australia, New Zealand, Sri Lanka, Vietnam, South Africa, Kazakhstan, (KSA) Saudi Arabia, Jeddah, Libya, Yemen, Algeria, Angola, Congo, Kenya, Sudan etc.